***MOTIVATED SELLER*** LOTS OF NEW DEVELOPMENT IN THE AREA!! 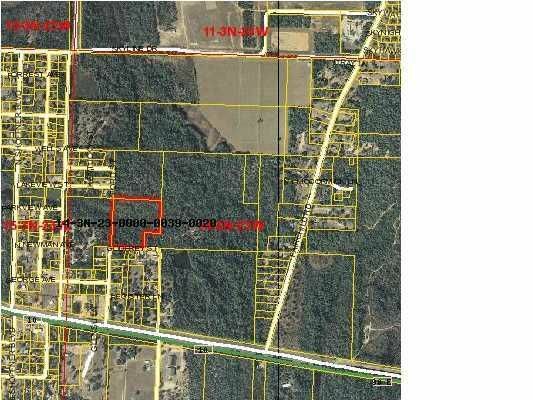 THIS SPACIOUS PARCEL OF LAND IS LOCATED APPROXIMATELY 1500 FT FROM THE SOUTH END OF THE BOB SIKES AIRPORT RUNWAY. IT'S POTENTIAL FOR INDUSTRIAL DEVELOPMENT IS ENHANCED BY IT'S CLOSE PROXIMITY TO A GULF POWER SUBSTATION AND AN AUBURN WATER UTILITY MAIN. THIS SITE IS JUST A BLOCK FROM HWY 90, WHICH ALLOWS EASY ACCESSIBILITY TO I-10 BOTH FROM CRESTVIEW AND MOSSY HEAD. BUSINESSES THAT SUPPORT BOB SIKES AIRPORT, AS WELL AS MANY OTHER INDUSTRIAL COMPANIES, WILL FIND THIS 8.94 ACRE PROPERTY HAS THE SIZE TO ACCOMMODATE THE CONSTRUCTION OF A LARGE WAREHOUSE OR INDUSTRIAL FACILITY WITH PLENTY OF PARKING.